It was 2015. 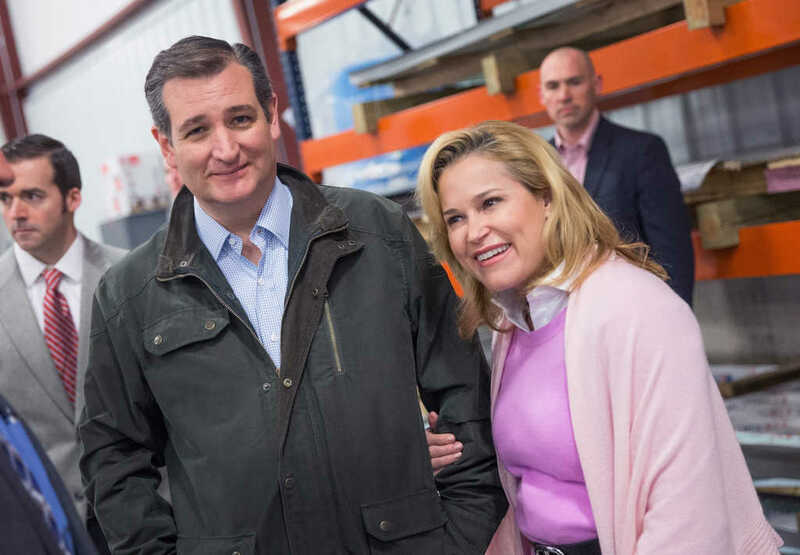 Sen. Ted Cruz (R-Texas), the junior lawmaker who had just joined Congress a couple years before, was heading to Virginia with his wife, Heidi, to announce his candidacy for president of the United States. Sitting in a Southwest airliner as they traveled to Liberty University in Lynchburg, where her Republican husband made his surprise political announcement, Heidi was journaling her calorie count when she stumbled across a handful of entries she’d logged more than a decade prior. The notes she found, she told The Atlantic, were written during a season of intense depression. Heidi’s inner struggle began in 2002. At the time, she was the director of the Latin America office in the Treasury Department and Ted was working at the Federal Trade Commission, a career track he was not enjoying. So, with Heidi’s blessing, Ted applied for the position of Texas solicitor general — a gig Heidi didn’t think her husband would land, given his lack of experience at the time. But he got the job. Ted moved to Texas and Heidi stayed back in Washington, D.C., where she went on to work for Condoleezza Rice on the National Security Council. Though the couple made it work, two years later, Heidi agreed to move to Houston, where she would begin a career in banking. She gave up a high-powered position in the nation’s capital to work for Merrill Lynch, a company actually headquartered in New York City. Despite the frustrating move, Heidi was the breadwinner in the family. But she wasn’t happy. After a brief breakdown, a friend suggested Heidi sign up for a Catholic retreat. She did. For the first time, Heidi was able to come face-to-face with the grief she’d buried. She had given up so much, but felt it had gone unnoticed. “And I was like, ‘That’s my diploma,'” she recalled to The Atlantic. When she went on the retreat, where she worked with an 80-year-old Haitian counselor, Heidi was finally free to voice her sorrow and process the whirlwind that had become her life. Thirteen years later, sitting in that airplane in 2015, those notes — and her counselor’s encouragement — served as a necessary reminder for a political wife who didn’t choose the trajectory of her life. The transition from Washington, D.C., to Texas certainly wasn’t easy, and neither was the process of running an ultimately failed presidential bid, but now Heidi is confident her life — and her career shift — has purpose, and that’s what keeps her going.